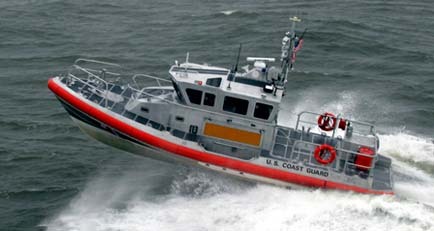 ← Coast Guard locates vessel with 49 people after passenger calls 911 reporting operator lost in heavy fog off Navy Pier. Five days after the call for help was made, Williams wife reported them overdue. A commercial salvage company eventually found the wreckage of their ship and the second caller was never identified. This was the first time that a hoax caller ever impacted a Coast Guard response. The SOL E MAR case changed the way the Coast Guard responds to possible hoax calls and the penalties for those who make them. The Coast Guard takes the word mayday very seriously, said Lt. j.g. Bradley Milliken, command duty officer at Sector Hampton Roads command center. We assume that someones life is in danger and respond appropriately. The Coast Guard defines a hoax as a case where information is conveyed with the intent to deceive. False maydays not only waste time, money, and resources but also can be extremely dangerous, said Milliken. Any time that Coast Guard assets are dispatched to an area where nothing is wrong, it leaves them unable to respond to actual emergencies. Coast Guard searches utilizing one rescue helicopter and one boat costs tens-of-thousands of dollars an hour at the taxpayers expense. Depending on the nature of the distress call, and the availability of search and rescue resources, even more assets could be and have been un-resourcefully used after a hoax distress call is received. Coast Guard crews aren’t the only ones affected by hoaxes they impact members of local agencies and communities, who regularly help respond in search and rescue cases. An urgent marine information broadcast is usually issued after a distress call is received to ask local mariners to look out for signs of distress. Unfortunately, hoax calls happen all too frequently, said Milliken. Any hoax callers willing to put the lives of mariners and first responders in danger may face serious consequences. Hoax callers could face up to 10 years in prison, $250,000 in fines, plus the cost of the search. Boating communities around the Mid-Atlantic have stood ready to help possible mariners in distress, even though some mayday calls ended up being hoaxes. Communities throughout the area encouraged to band together and help put a stop to these calls. If you have information regarding suspected hoax callers, please contact your local Coast Guard sector. Click here for a short informational statement from a U.S. Coast Guard Search and Rescue coordinator. Observations from Captnmike: I have been reading the news releases for the last few months on Distress Calls and one theme runs through all of them and that is the amount of equipment or assets that are launched by the Coast Guard and pardner agencies. In many cases up to around a dozen or more boats, ships, airplanes and helicopters with the involved crews totaling hundreds of people are launched for the search, many times this has been in weather when no sane person would be out on the water and at night. And this is done at no cost to the people being helped, just part of your tax dollars at work helping to keep all of us a bit safer. A few things you can do to help, number one is don’t make fake MAYDAY calls. Then take a Boating Safety Class, have a sober driver and wear a life-jacket. Wearing a life-jacket increases your chance of survival and being found. In Puget Sound your estimated survival time without flotation and proper protective gear (clothing) is around 10 minutes. If you wear a life-jacket your survival time increases to around an hour, give or take. This entry was posted in Boating Safety, History, Safety Thoughts. Bookmark the permalink.